One of the main problems for Ethiopian sesame farmers is a general lack of reliable weather forecasts. The lack of forecasting information becomes more and more challenging for the sesame farmers as the variability in weather increases, which results in an unpredictable and highly variable sesame yield. To address this challenge, Weather Impact provides local weather forecasts in two local languages direct to the sesame farmers. This activity is part of the CommonSense project, and to be able to send the weather forecasts, we work closely together with the Benefit-Sesame Business Network (SBN), Apposit and the Ethiopian National Meteorology Agency (NMA). In a pilot study, 1500 farmers received a weather forecast by SMS twice a week. With the help of our weather information, sesame farmers and agricultural professionals are able to strengthen their resilience to weather variability. 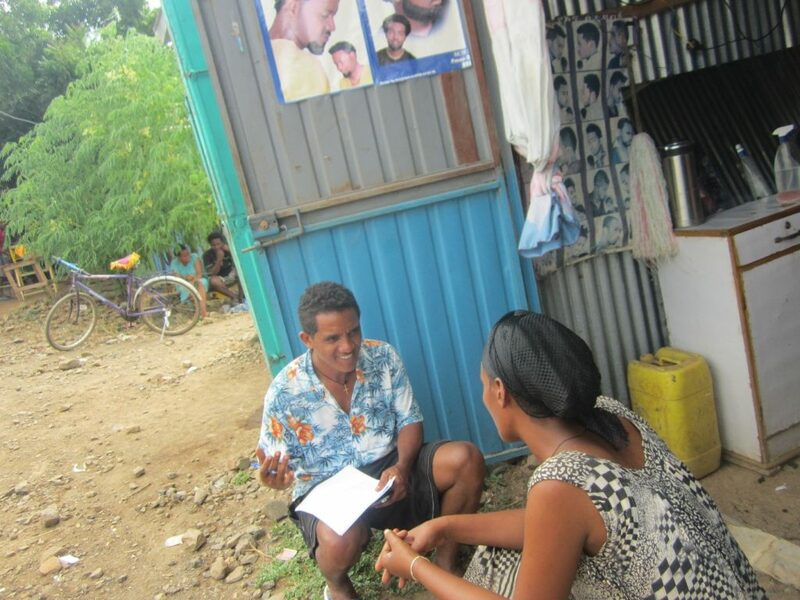 A user survey was conducted under a representative group of sesame farmers and agricultural experts. The results of this survey shows very encouraging results. Rainfall forecasts are, compared to temperature and wind, the most important source of information for the farmers. Of the interviewed farmers, 96% finds the short-term rainfall forecasts being (close to) very accurate. Most of the farmers stress that the information should be provided in an easy-to understand message. Weather indications such as ‘degrees Celsius’ and ‘millimeters rainfall’ are sometimes not well understood and could be phrased in a more intuitive manner. Users were asked what they could accomplish or change in their farming practice by using the rainfall forecasts. All interviewed farmers said that after receiving the rainfall forecasts, they were able to better plan their farm activities. These farm activities include decisions on the time of sowing, weeding and harvesting, the planning and adjustments of hired labor, applications of top dressing, fertilizer or pesticide and protections from flooding. The weather information supported the farmers to mitigate the risk of making the less optimal decisions and supports them to increase their profit by increasing the chances of a better yield. The interviewed farmers and agronomists believe that the weather forecast service should be scaled-up to a larger number of farmers, so more farmers have the opportunity to improve their management. The CommonSense project and the partners in this pilot are currently exploring different opportunities to scale up the weather service in Ethiopia. If you are interested to collaborate with us, please do not hesitate to contact us at info@weatherimpact.com. Results of the user survey among sesame farmers receiving the weather forecasting service in Ethiopia. Figures are created by Allard de Wit, Wageningen Environmental Research, partner in CommonSense. This text is based on the report on the weather service pilot evaluation, written by Melisew Misker Belay, agronomist at Benefit Sesame Business Network, Ethiopia. In the figure above you see Melisew Misker Belay (SBN) evaluating the weather forecasting pilot with one of the users. Interested in more information? Please download the user story of Ato Gureshaw Yilma here.